Dr. James LI co-founded JW Therapeutics with WuxiAppTec and Juno Therapeutics in 2016. 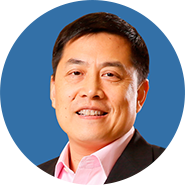 He has been the CEO since the inception of the company.From 2012 to 2015, Dr. James Li was a VP and Founding General Manager of Amgen Greater China. He led the company's efforts in building and expanding its business into the Chinese markets and helping Chinese patients to access to Amgen's vital medicines.Prior to joining Amgen, James was a Partner at Kleiner Perkins Caufield & Byers life science practice, first in the US Pandemic Fund and later, in its China Fund. He successfully invested in early stage university spin out, growth stage companies and led a portfolio company IPO in 2010.From 1991 to 2006, James spent over 15 years with Merck Co. & Inc. where he held leadership positions with increasing responsibilities in clinical research, regulatory affairs, new product development and franchise management, both in the US and Asia Pacific/China. During his tenure, he was instrumental in obtaining regulatory approvals of Merck vaccine Products across Asia Pacific Region when the Vaccine Division started operations in the region, successfully built the foundations of Merck's medical operations in China and drove the success of Merck's largest franchise in Asia.James received his Medical Degree from Shanghai Medical University followed by a Master of Science degree in Microbiology from the University of Montana.